With the days getting shorter and the golf season coming to a close, now is the perfect time to reflect on this year and plan for 2011. What worked well this year? What did not? And what is your game plan to work on your mental and emotional game during the offseason? Good golf shots occur when we make good golf swings. Good golf swings occur when we are focused, feel good and trust in the outcome. Prepare for 2011 now, by using the offseason to pay attention to how you are “playing” the game. Keeping a journal is perhaps one of the most effective ways to uncover what is working and what is not. After each round, take a few minutes and record what you experienced. You can even take a small notebook with you on your round. Jot down any thoughts or emotions—good or bad—that you experienced before, during or after any given shot. Review what you wrote to see what worked and what did not. Were your thoughts “Limiting or Empowering?” Were you experiencing positive or negative emotions? Were you worried about outcomes or were you present over any given shot? Keep what works, reframe what doesn’t and discard anything you can’t save. Commit today to keeping a journal this winter. You may be surprised just how clearly you are thinking when you tee it up in the Spring. Doug Hodges developed his expertise as a performance coach at La Costa Resort in Carlsbad, Calif. 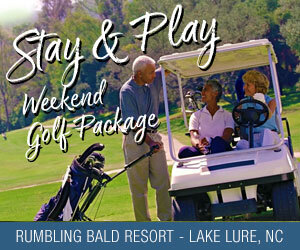 He now offers his ThinkWorkPlay programs at the Heritage Golf Club in Wake Forest and Grandover Resort in Greensboro. All golfers, from the Tour player to novice, now have the opportunity to develop the tools to unlock their potential, have more fun, and lower their scores. To learn more visit www.thinkworkplay.com.